Pneumonia is a bacterial or viral infection that develops in air sacs of the lungs. It is caused by viruses,bacteria or rarely, fungi. Most cases of pneumonia are caused by bacteria and are known as Streptococcus pneumonia (pneumococcal disease). However, viral pneumonia is more common in children. It can either affect only one lobe, or may be widespread in the lungs. Babies and children may not show clear signs of a chest infection and symptoms might be less specific. They commonly will have a high fever, appear very unwell, and become lethargic. In some cases, theymight also have noisy breathing. In some cases skin, lips and nail beds may become dusky or bluish. This shows that the lungs are incapableof delivering enough oxygen to the body. Doctors suggest that in such cases, it is vital to seek medical assistance straight away. 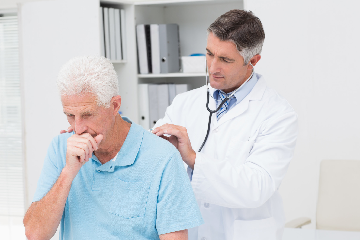 Treatment of most cases of pneumonia can be done at home. However people with severe pneumonia, babies as well as children may need to be admitted to hospital for treatment. Usually, pneumonia is treated with antibiotics. This is because even viral pneumonia may have a degree of bacterial infection as well. The type of antibiotics is determinedby the severity and cause of the pneumonia. Pneumonia patients may take several weeks to fully recover. The cough may continue for a period until the sputum is cleared from the lungs. Some might also experience fatigue.